12 mins per game – no half time. Unlimited substitutions during games, squad rotation encouraged. Players per squad is limited to 4 subs ie U9 is allowed a squad of nine over age groups a squad of ten. 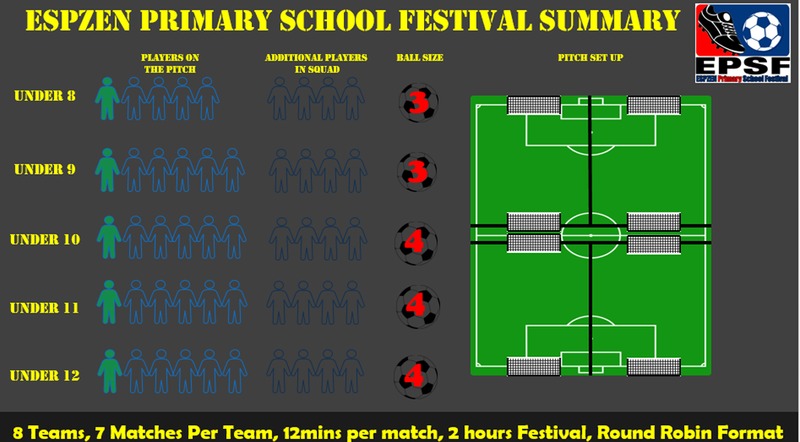 Top Two teams will receive medals according to pre-determined squad size. Player IDs will be randomly checked on the Festival day. 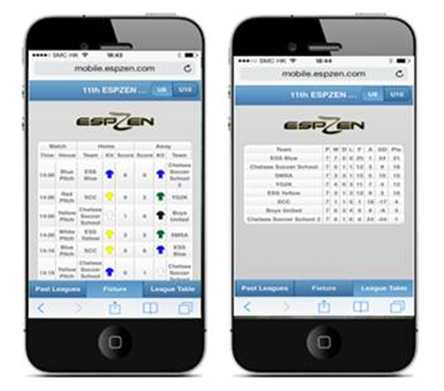 During the Festival the Team Managers, Coaches and Parents can check the league table and results update real time on their smart phones. Please therefore store the following URL into your smart phone favourites prior to the Festival.